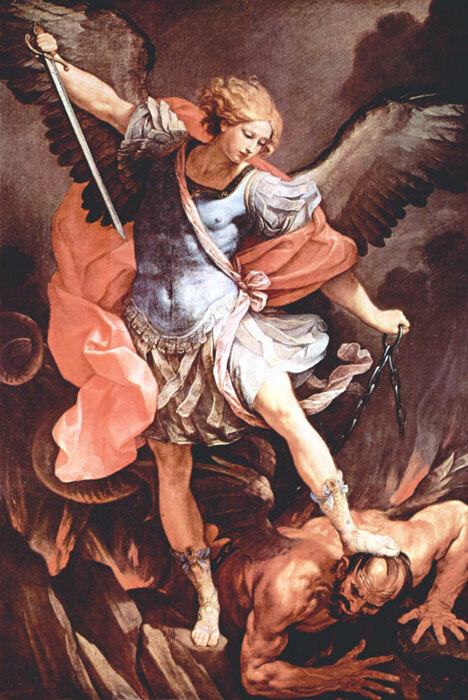 St. Michael has always been the patron of the chosen people, first of the Old Law and then of the New. He remains the loyal defender of the Church, but his guardianship of the Jews did not lapse because they turned away. Rather it was intensified because of their need and because they are the blood-kindred of Jesus, Mary and Joseph. The Legion serves under St. Michael. Under his inspiration it must strive lovingly towards the restoration of that people with whom the Lord made an everlasting covenant of love. The feast of the “commander of the army of the Lord” (Josh 5:14) occurs on 29 September.